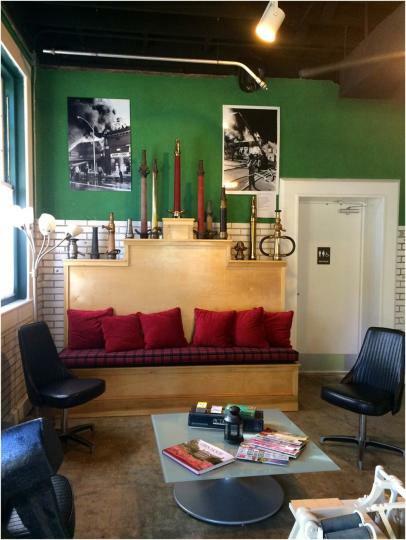 We have lovingly restored this 1917 Craftsman-style, old Firehouse #2 into a hostel for travelers. 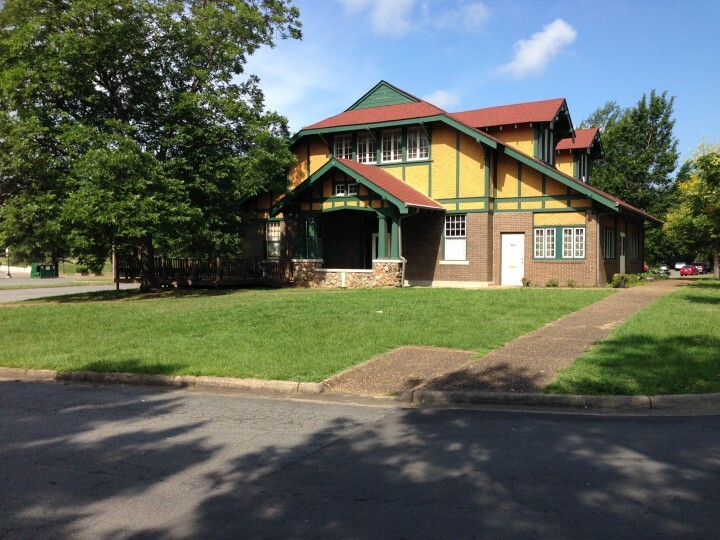 Located in Little Rock’s first neighborhood, now the MacArthur Park Historic District, we offer you an affordable place to stay right in the heart of Little Rock with bunks starting at $28! 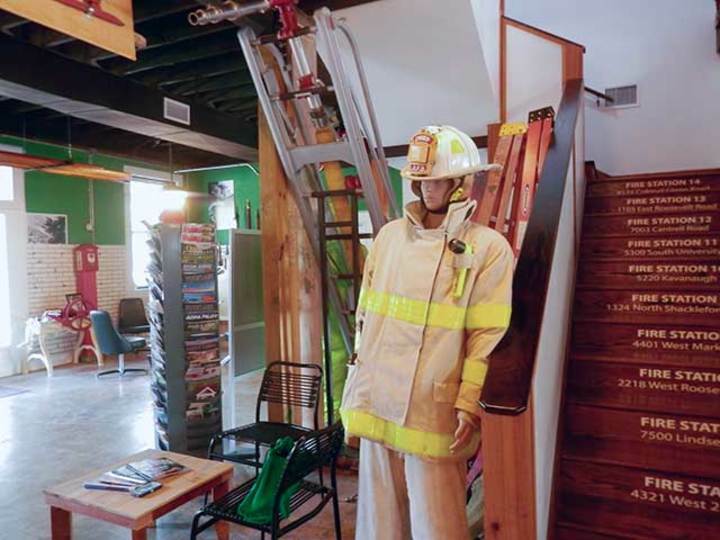 HI Little Rock at the Firehouse Hostel & Museum is a 36-bed hostel and firefighting museum housed in a renovated, historic firehouse in beautiful MacArthur Park in downtown Little Rock, Arkansas. 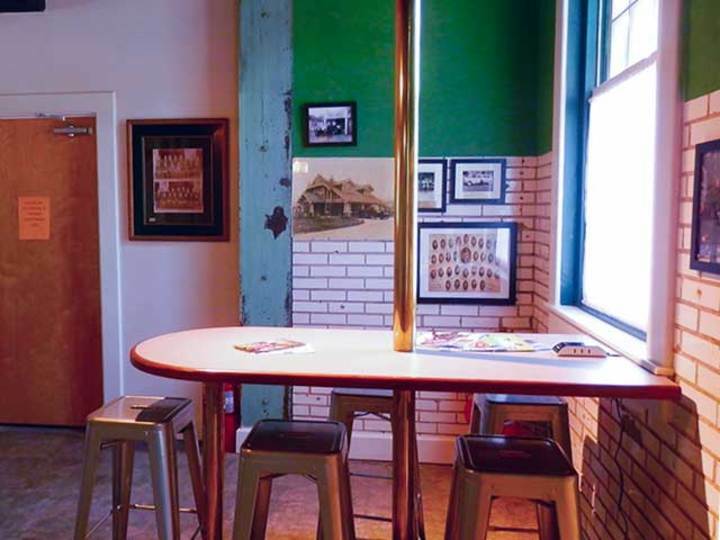 The hostel is also in the heart of America; the perfect stopover for cross-country road trips and a destination as the first and only hostel in Little Rock as well as one of the only hostels in the world that also serves as a museum. 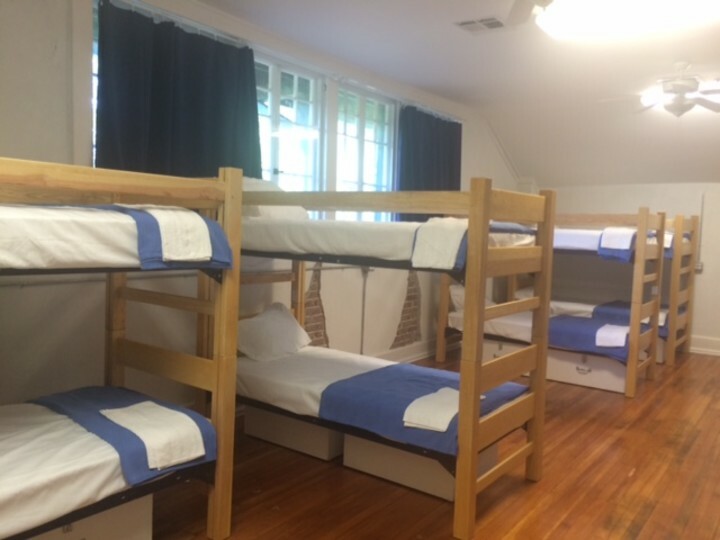 The hostel offers both private and dorm rooms. 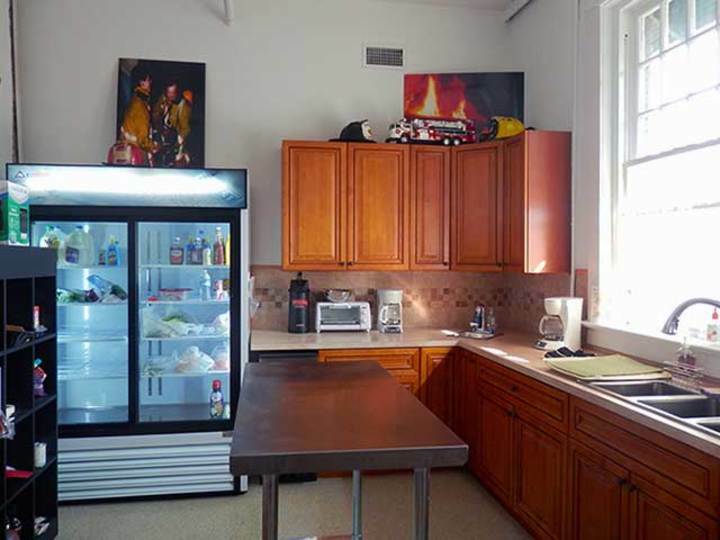 Guests enjoy free Wi-Fi, 24-hour reception, off-street parking, linens and towels, storage lockers, continental breakfast, kitchen and dining areas, tours of the firefighting museum, and a back porch with views of Foster Pond! 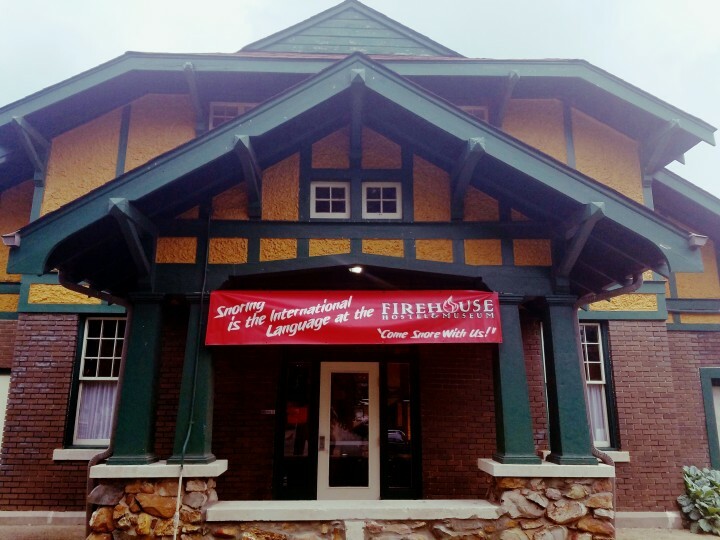 HI Little Rock at the Firehouse Hostel & Museum is centrally located near several parks and the Arkansas River Trail for recreation and nature enthusiasts as well as walking distance to restaurants, nightlife, and popular attractions including the River Market, Clinton Presidential Center, and SoMa District. Greyhound, Amtrak, and Megabus stations, as well as the Bill and Hillary Clinton National Airport, are just minutes away and a bus stop is conveniently located just in front of the hostel. Very nice hostel and staff. Recycling could be improved. This was my fourth visit and won't be my last! The two Swiss volunteers worked harder than the two adults.They always wore smiles,willing 2 answer u no matter they were on/off duty.But the white girl wasn't.When I asked her where 2 store my luggage after checking out, she shrugged her shoulders & said she wasnt sure. another dark skin female staff,she even cooked my THREE EGGS. At that time, I hadn't checked out ,still have 1 more night 2 stay. I did mark my name&check out date. What a shame.3eggs r less than 1 dollar,what a shame of HER. Bill & Hillary Clinton Airport – Rock Region Metro has a bus stop at the Offsite Shuttle area. Cross the crosswalk at Exit D. The bus stop is located near the curve in the road to the side of the covered area. Look for the gray Rock Region METRO sign/ pole for the #20-College Station/Airport bus. Ask the driver to let you off at the 9th & Ferry St. After exiting the bus cross the street and walk through the park to the hostel. If you don’t mind a little extra time feel free to continue on the bus to the River Cities Travel Center and transfer to #6–Granite Mountain bus that stops in front of the hostel! This might be the way to go for added convenience if you are carrying heavy luggage or multiple bags. Greyhound Bus Station –Located just across the river in North Little Rock at 118 E Washington Avenue. Both the #18–McAlmont and #7–Shorter College buses serve this stop. Cross the street after exiting the station and turn left. Look for the gray Rock Region METRO sign / pole close to the red light (across the street from National Pawn Shop). Ask for a transfer upon boarding then transfer to the #6–Granite Mountain bus at the River City Travel Center; it stops just in front of the Hostel! MegaBus – Little Rock’s MegaBus Stop is located at the Exxon parking lot at 612 E. Roosevelt Rd. Unfortunately the best Rock Region METRO bus stop is 4 blocks north. Walk north on the I-30 service road to 21st & I-30. The bus stop is across the street and slightly to the left. Look for the gray Rock Region METRO sign / pole at the corner of E. 21st St. & Vance St. The same bus that serves the Firehouse Hostel & Museum serves this location #6 Granite Mountain. 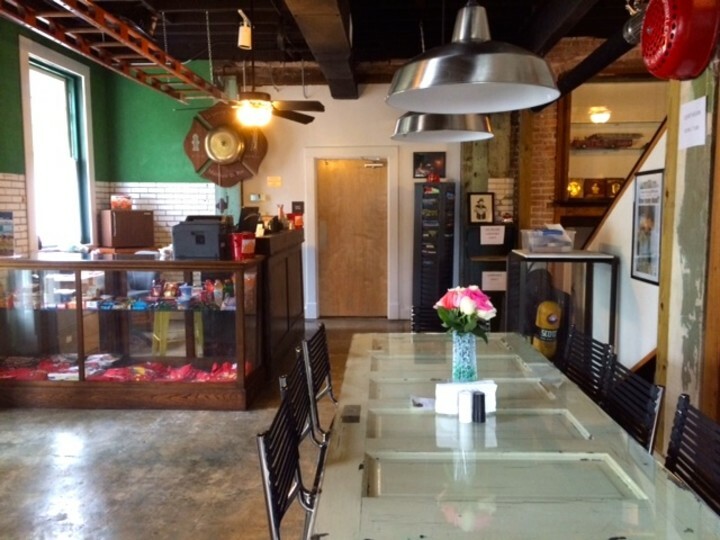 The hostel is less than a 10-minute ride from the Bill and Hillary Clinton National Airport. Rides from the airport via taxi can cost between $20-30 but we also have Uber available which is around $7-10. 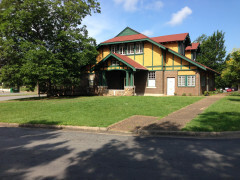 We are centrally located in downtown Little Rock within historic MacArthur Park directly behind both the Arkansas Arts Center and the MacArthur Museum of Arkansas Military History one block west of Interstate 30 near Interstate 630. Driving Instructions- The nearest major intersection is Interstate 30 and 9th Street. • From I-30 South take the 9th Street exit (Exit 140A) shortly after crossing the Arkansas River. Turn right onto 9th Street and then turn left on Commerce Street at the far end of MacArthur Park after passing the museums. The hostel is on the left about 200 yards down. • From I-30 North take Exit 140. Turn left at the stoplight onto E. 9th street then turn left again on Commerce Street. The hostel is on the left about 200 yards down. • From I-630 East take the Main Street exit (Exit 1A) and continue one block past Main Street to Scott Street. Turn left to go over the interstate and proceed to 9th Street. Turn right on 9th Street and then right on Commerce Street. The hostel is on the left about 200 yards down. The nearest major intersection is Interstate 30 and 9th Street. From I-30 South take the 9th Street exit (Exit 140A) shortly after crossing the Arkansas River. Turn right onto 9th Street and then turn left on Commerce Street at the far end of MacArthur Park after passing the museums. The hostel is on the left about 200 yards down. From I-30 North take Exit 140. Turn left at the stoplight onto E. 9th street then turn left again on Commerce Street. The hostel is on the left about 200 yards down. From I-630 East take the Main Street exit (Exit 1A) and continue one block past Main Street to Scott Street. Turn left to go over the interstate and proceed to 9th Street. Turn right on 9th Street and then right on Commerce Street. The hostel is on the left about 200 yards down. 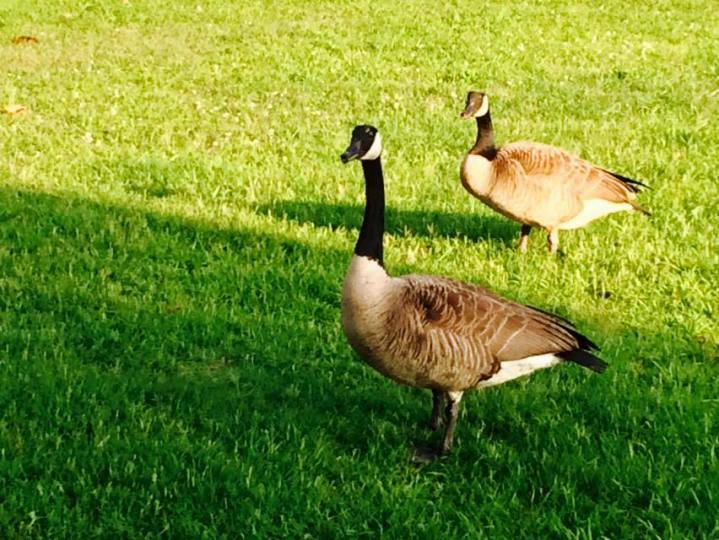 For guests arriving via Amtrak’s Texas Eagle we are only 2 miles away from the station. A Yellow Cab is often waiting for passengers so you typically don’t have to call. Uber is usually available as well. Unfortunately all train arrivals occur at night when the city bus is not in service.